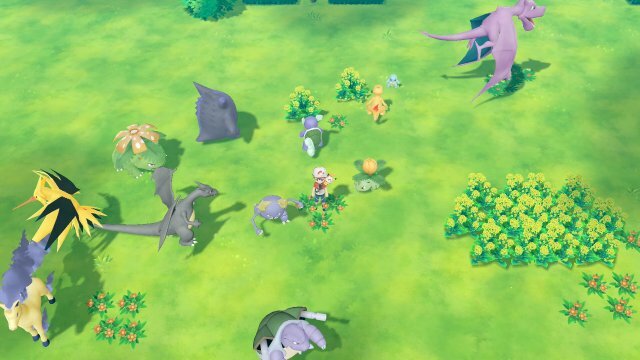 In Pokémon GO Park, you can connect to your mobile game and send over any Pokémon from the Kanto Pokédex, including Alolan Forms, that you have earned in Pokémon GO. There are 20 different GO Parks, each able to hold up to 50 Pokémon meaning up to 1,000 Pokémon can be transferred from Pokémon GO. The most notable thing to do in Pokémon GO Park is that you can navigate the parks. When in the park, you can see the Pokémon running around and interact with them. Here, you can select if you wish to capture the Pokémon or if you wish to move them to another GO Park in case you're creating a theme. 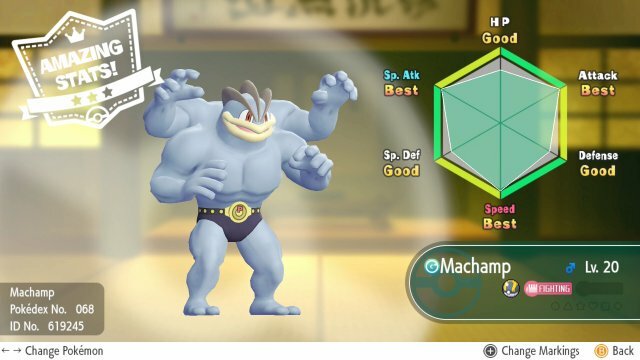 If you choose to capture a Pokémon, then it will enter the standard capture feature. The Pokémon have the same capture rate as elsewhere in the game, which factors in their level and IVs. Due to this, capture could be hard. Berries can be used to aid in the capture and the Pokémon can flee, but you can just re-enter the battle if they do so. Like the other captures in the game, you can receive Berries and Candy as rewards for capture. The IVs for a Pokémon, when captured, are based upon its IVs in Pokémon GO. Its Attack & Special Attack are the Attack IV from GO *2 + 1, its Defense & Special Defense are the Defense IV from GO * 2 +1 and its HP is also the HP IV from GO, multiplied by 2 and add 1 so if you had 15 Attack in the stat in GO, you'd have 31 in Attack & Special Attack in Let's Go. The Speed IV, however, is random with each Pokémon. The Level of the Pokémon is also the level from Pokémon GO so Pokémon from raids will be Level 20 or 25, maxed out Pokémon will be Level 40 and so forth. Natures are entirely random and not set, so you can soft reset to get a different nature if you do so wish. The next is a small mini-game. 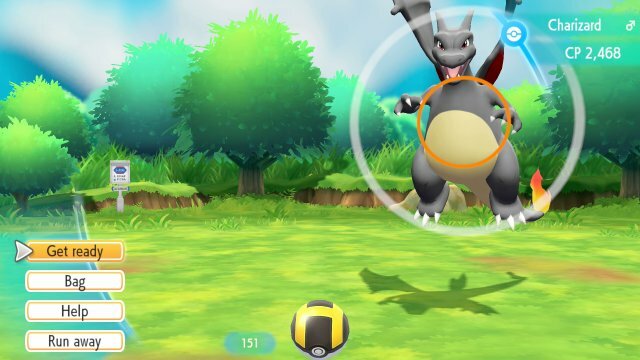 This mini-game is accessed in the Play Yard if you have transferred over 25 or more of the same species of Pokémon across the various GO Parks. 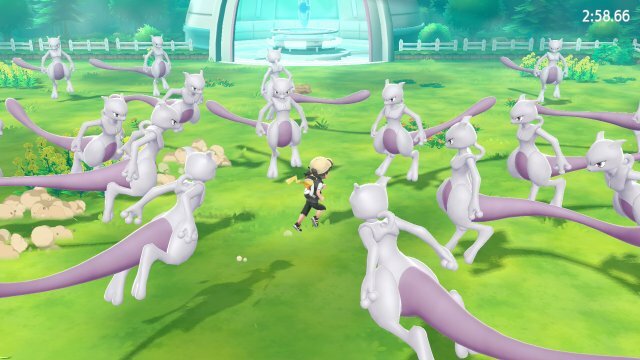 This game has you enter the GO Park and have to round up all 25 of the Pokémon from the park and bring it to the exit, avoiding various Pokémon obstacles such as Diglett, Sandshrew and Golem which will cause the Pokémon to scatter. If you manage to get all of the Pokémon to the gate, you will be rewarded with various Candy rewards for your Pokémon to boost their stats. These rewards are fairly basic and are only the basic Candy which are chosen at random, not based upon the success of your play.